Frac Trucks pump nitrogen gas into natural gas wells and oil wells to purge remaining fossil fuels that may be imbedded in well bores, slurries, and bedrock. The purged fuels can then be used for commercial use. 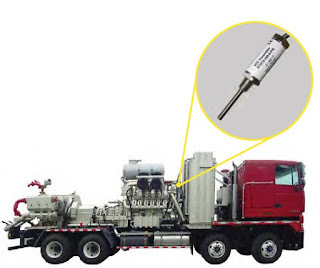 Frac Trucks require a variety of sensors to monitor internal components: liquid nitrogen tanks, heat exchangers (used to convert liquid nitrogen to gas), and pumps. 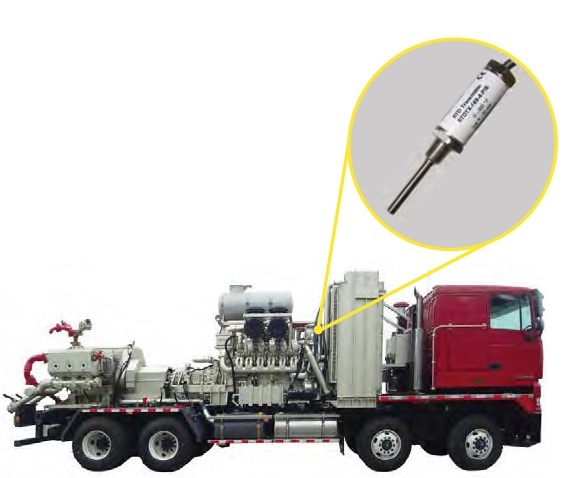 Temperature sensors are especially critical on Frac Trucks, because they are used to ensure safe, efficient operations. Download the PDF version of the "Frac Truck Temperature Transmitters" application note here. The temperature sensors are subjected to continuous shock & vibration during truck operations, from traveling over unpaved roads, and on long highway drives. This shock & vibration was damaging the internal components of the competitor’s transmitters. The transmitters also operate in a harsh environment, which exposes them to water, mud, and oil. During washdown, the truck is sprayed clean with high pressure water, often causing water to leak into the transmitter’s housing. The water then shorts out the internal components and results in transmitter failure. REOTEMP designed and engineered a new product called the Slim-Line Transmitter that met all of the customer’s needs. The new product incorporated an all-welded enclosure and re-inforced seals to protect against leaking. A cushioned interior component design ensured the Slim-Line was up to the challenge of the harsh Frac Truck application. This product is now used in a variety of applications that require a very durable, compact, and accurate temperature transmitter.